ShoreTel has announced its top performing channel partner in its Great Rewards 2016 Program, with Linktech Australia, Viatek Australia and Calibre One Australia among others taking the honours. Linktech Australia claimed highest total revenue for a new partner across Australia and New Zealand, while Viatek Australia was rewarded for highest year-on-year (YoY) growth for existing partner in Australia. Calibre One Australia won the most number of leads registered in A/NZ title. In addition, PowerNet Australia was titled "highest monthly recurring revenue (MRR)" bookings by partner in Australia, while PTS Communications won for having the highest number of net new customer wins by partner on both sides of the Tasman. 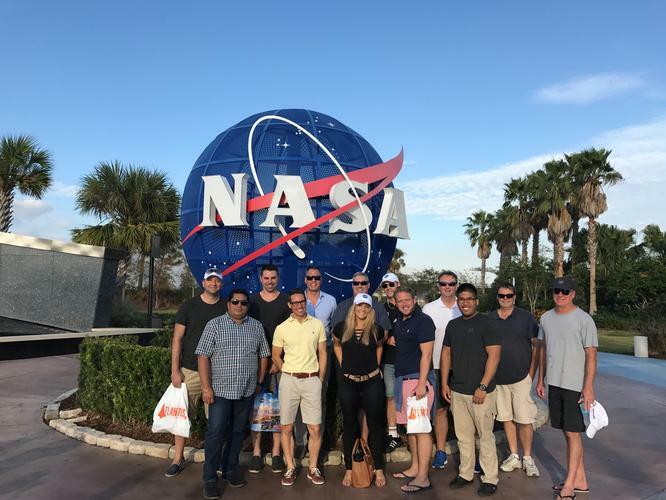 As the company’s top performing channel partners, the winners will receive return flights, accommodation, and registration to attend the ShoreTelOne 2016 Global Partner Conference in Orlando, Florida in December, as well as an exclusive day trip with fellow winners to NASA facilities at Cape Canaveral. ShoreTel Asia Pacific vice-president, Frederic Gillant, said the vendor expanded its Great Rewards sales initiative this year, doubling its investment across Asia Pacific. “Congratulations to our Australian major prize winners Calibre One, Linktech, PowerNet, PTS Communications and Viatek," he added. "We also look forward to announcing our latest quarterly individual winners shortly." Linktech Australia managing director, Ahmed Latif, told ARN that the company embarked on the ShoreTel journey less than 12 months ago and coming so far so quickly is a testament to the efforts of its team. “This is a very proud moment for the team at Linktech Australia," he added. "We invested a lot in this relationship and the great thing is that ShoreTel's team reciprocated and ensured our investment was well directed. "At Linktech Australia we have highlighted some key vendors that we've decided to lead with in certain areas, the parameters of those choices were strength of the solution set, quality of partnering and opportunity. "ShoreTel is one of those vendors we have chosen where the stars aligned perfectly."